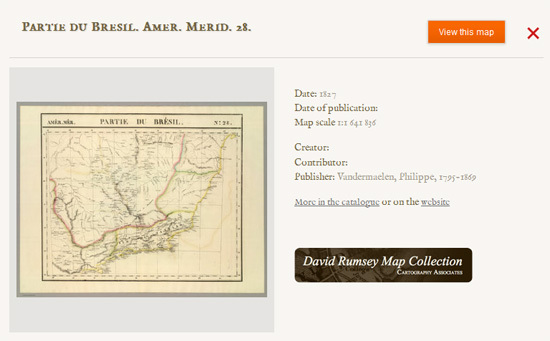 Now you can discover the maps of the past using this utility Old Maps Online. 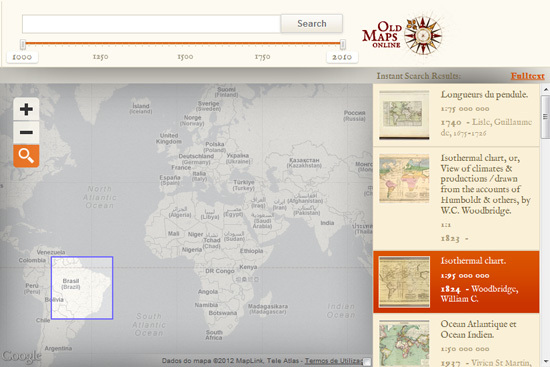 Search historical maps across different libraries around the world. 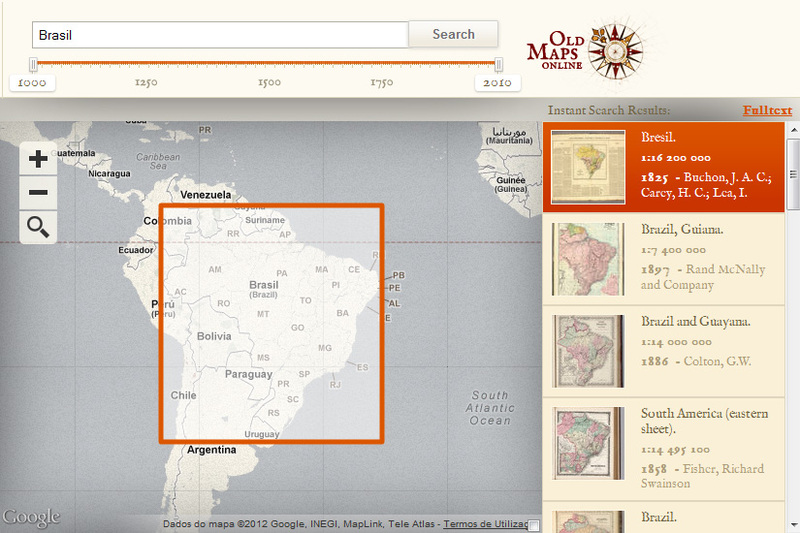 You can search by typing the name of a place, or you can do it by double clicking in the map. 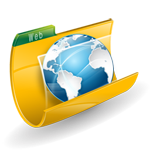 Then you can narrow the search by date, using a timeline to select an interval of time from the year 1000 to 2010. 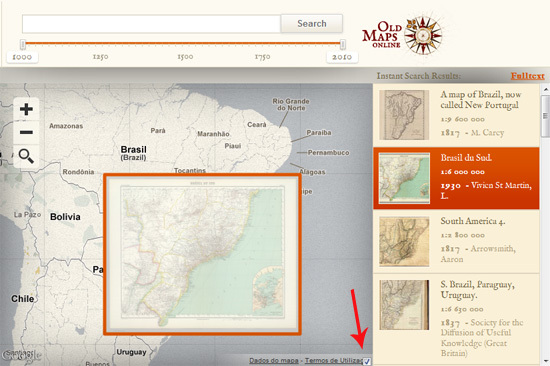 The results of your old maps search appear in a sidebar on the right side. 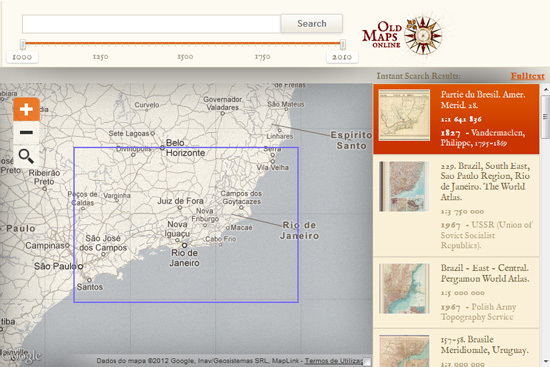 You can choose from the ancient maps listed in the results by clicking on the map of your choice. 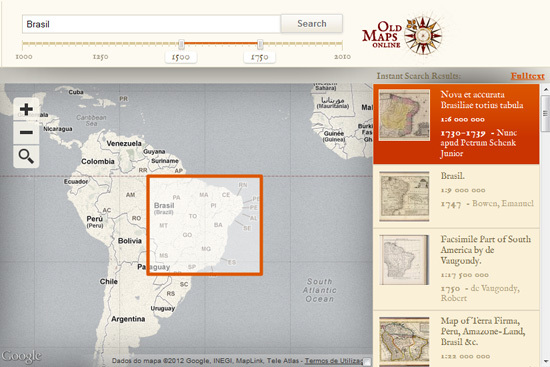 Then a popup window opens that will allow you to view the old map. The maps in the sidebar are listed by relevance order, with the most relevant at the top. 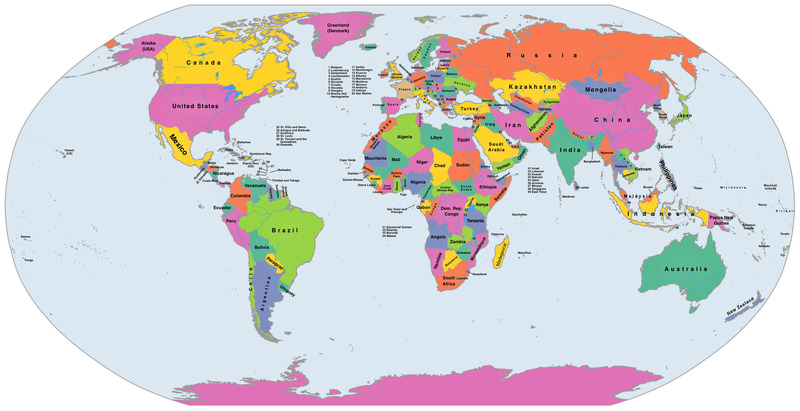 When you pass the mouse over the maps on the sidebar list the correspondent area of each map is selected on the main map window. 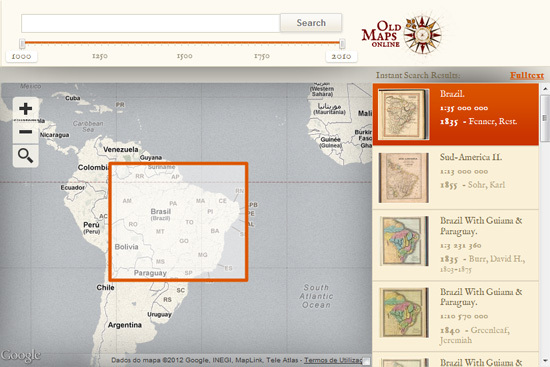 I hope you have enjoyed this tip to search quickly and effectively from relevant ancient maps around the world.